Guy has over thirty five years experience in all facets of tree care, from field work such as climbing, fertilizing and cabling to competitive climbing, arborist training instruction and television and radio talks on tree care. He has written many articles about tree care for the Austin American Statesman and arborist journals such as the internationally published Journal of Arboriculture. 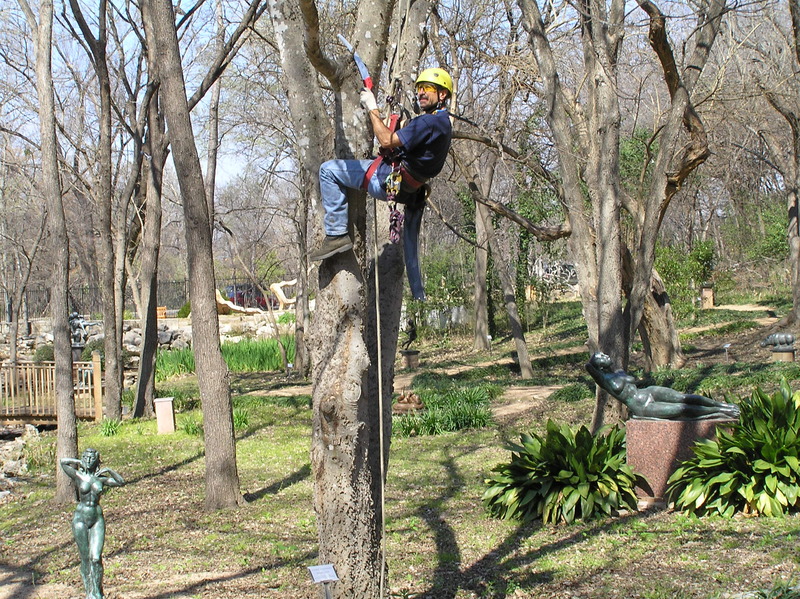 He even co-authored a tree care ordinance which was adopted by the Austin city council. 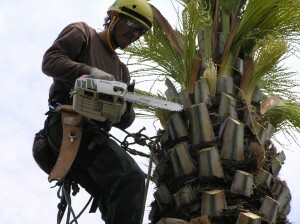 When it comes to trees he pretty much does it all. 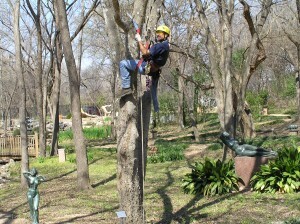 Guy working with “helper” at Mayfield Park. Dozens of site development projects in Austin. 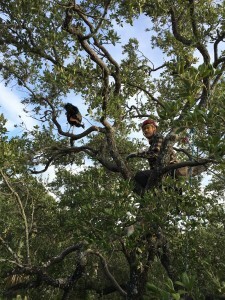 Expert witness in tree destruction court cases. 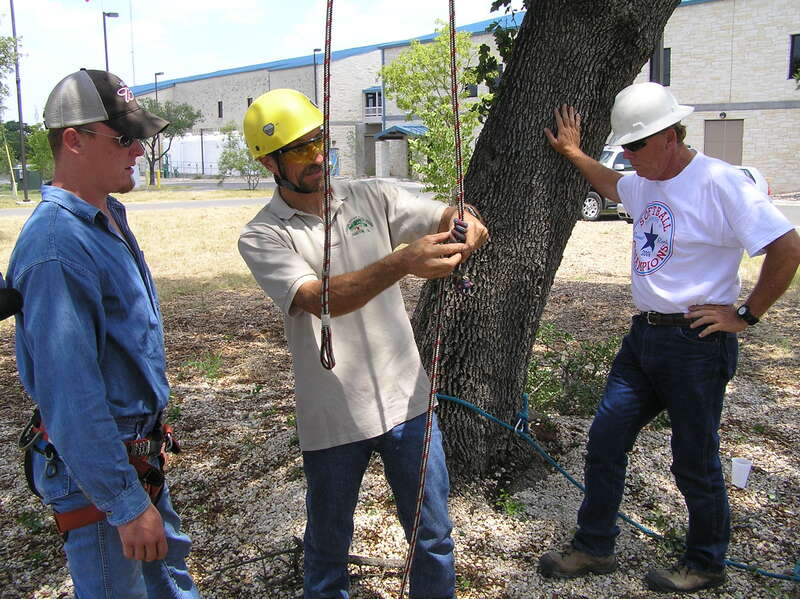 Among group that took the first Certified Arborist exam given in Texas (1992) and has maintained certification ever since.